BUILDER'S OWN HOME IN SOUGHT AFTER GLEN OAK ACRES on interior street with fantastic finishes and floor plan! 1000 Queens boasts a super sized kitchen open to family room, walk in pantry and butler's pantry, 2-story vaulted front room open to spacious dining room with coffered ceiling, 1st floor office, luxury master suite, finished 3rd floor playroom with full bath (could be 6th bedroom suite) , full finished lower level with heated floors, rec. 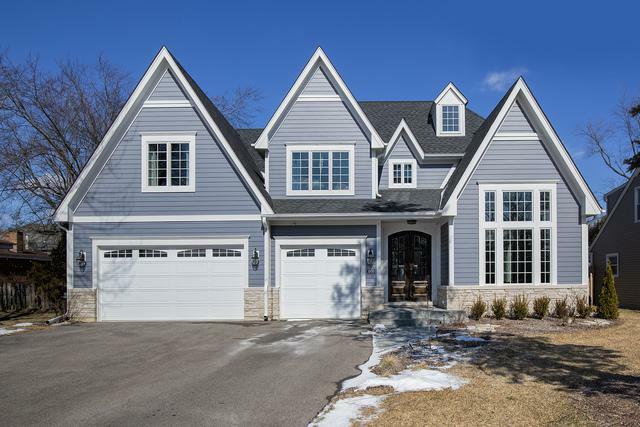 room, exercise, additional bedroom and bath, wine cellar, finished bonus room on 2nd floor, fully fenced yard, blue stone patio and walkway, main floor full bath, 3 car garage - beautiful and ready to go!